Components of the new Orbis wired conference system have received the world-renowned “Red Dot Award: Product Design 2015”. The product design competition has taken place since 1954; the award, the “Red Dot”, is a world-renowned mark of quality and an international jury presents it only to those whose excellent design makes them stand out from comparable products. 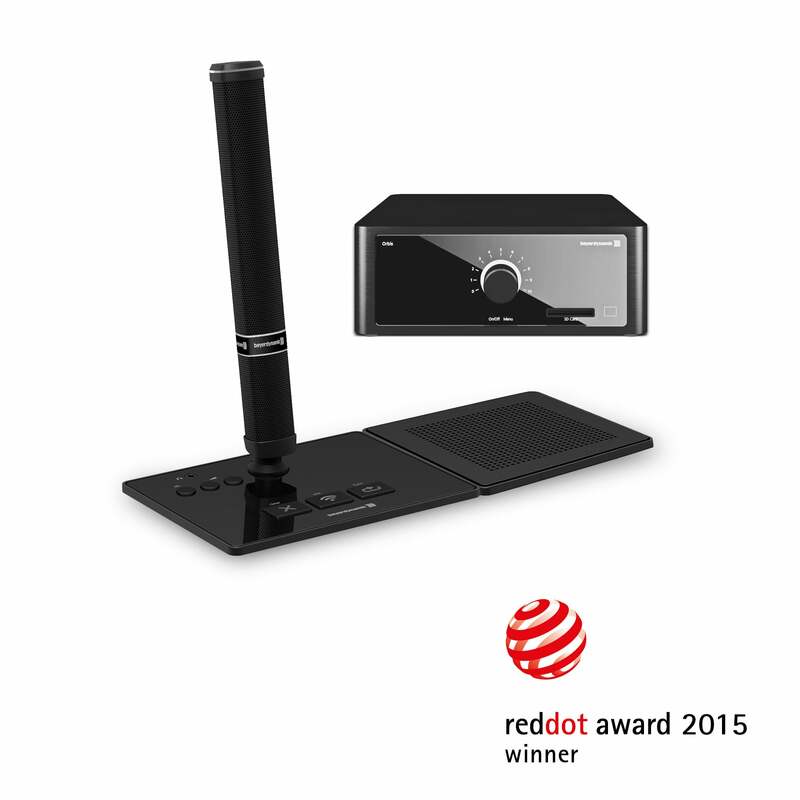 In the communication category, which includes conference technology, Orbis was pronounced “Red Dot Award 2015” winner. The Orbis MU 43 flush mount microphone units with separate CA OL loudspeaker module, the Classis RM 31 Q vertical microphone array and the Orbis CU control unit were submitted and received the award. A clear aesthetic was followed for the design of the conference system: straight edges and tight radii characterise the overall appearance. All operating elements have been reduced to the essential and support the functionality of the system with their shape, position and size. Much importance was also placed upon the use of high-quality materials. Elegance and consistent aesthetics were also prioritised when designing the desktop microphone units presented last year.